Germains Seed Technology is one of the global leaders for seed enhancement and seed treatment. Our track record of serving the agricultural sector measures 145 years and goes back to the foundation in 1871. Today we employ around 200 passionate seed professionals and have operational and research facilities in 4 countries (Netherlands, UK, Spain and USA) and 8 locations. 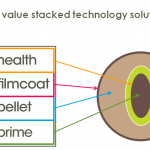 Germains focusses on the four area’s of seed technology: Priming, Pelleting, Filmcoating and Health. Many of our technologies are also available for certified organic seed. We are active in vegetables, flowers, sugar beets and field crops. 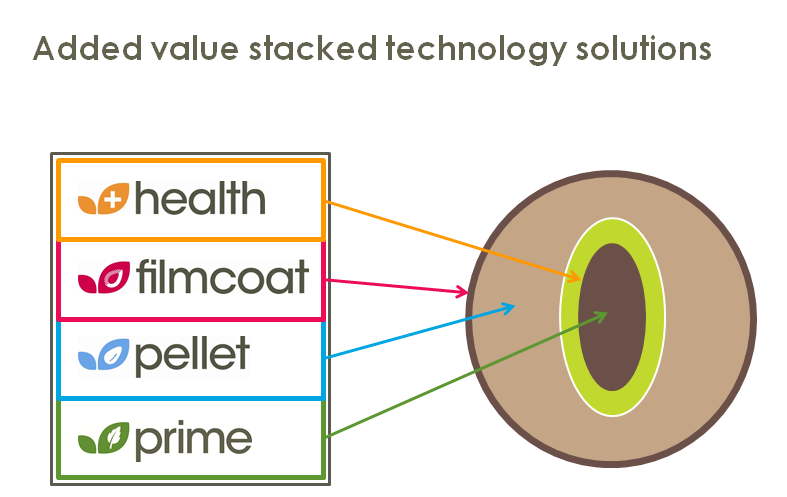 In many cases our technologies can be stacked to get the optimal possible result from your seeds genetic potential (see picture).